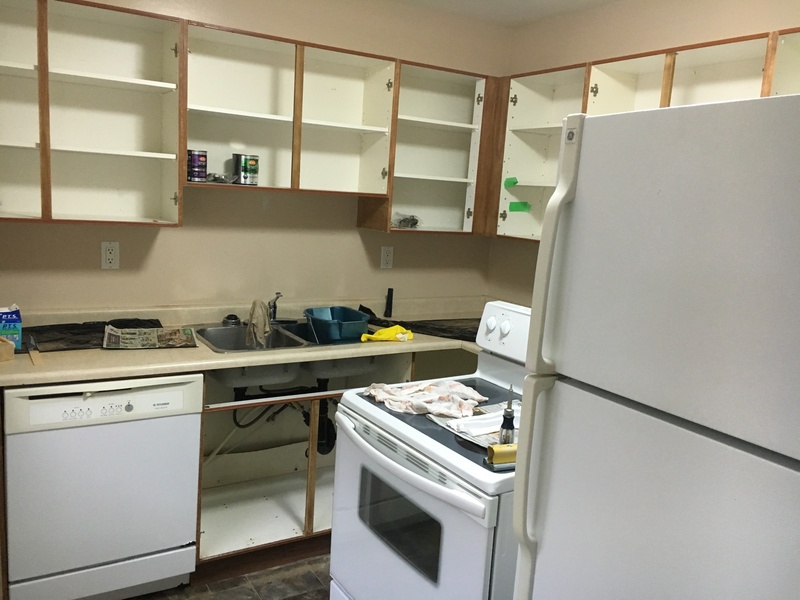 Finish the kitchen. 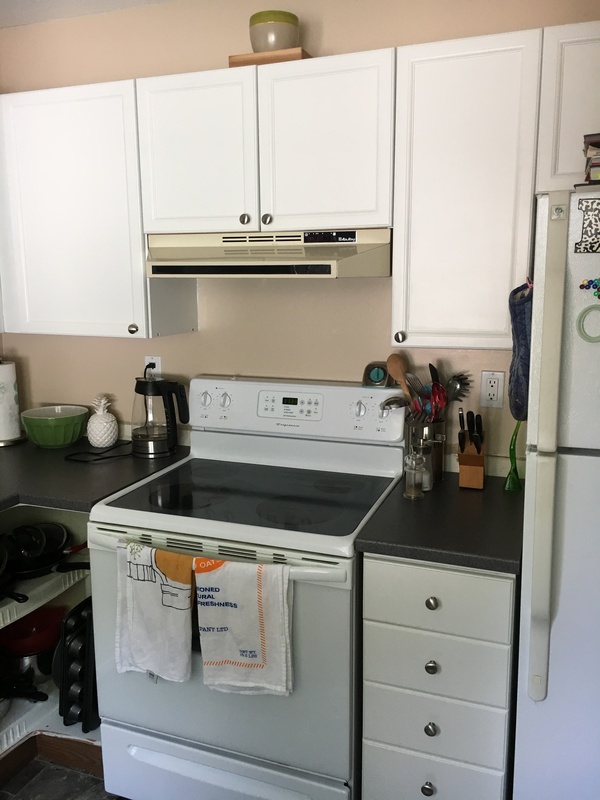 The last major projects are painting, replacing the rangehood, and putting up a backsplash. 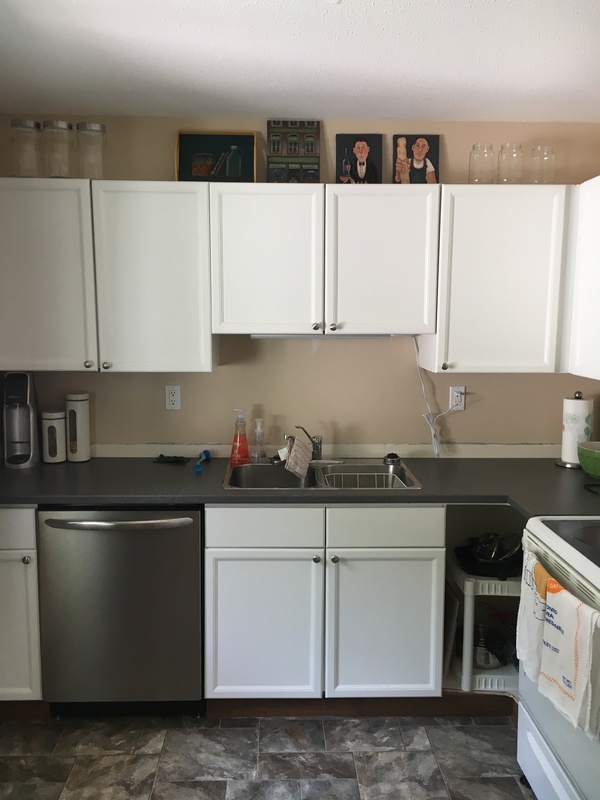 Current status is pretty good, and quite functional: counters have long been replaced, new dishwasher is in, and cabinets have been painted with new hardware. Painting waiting to be hung. Still not sure what to do about the old lazy susan space. 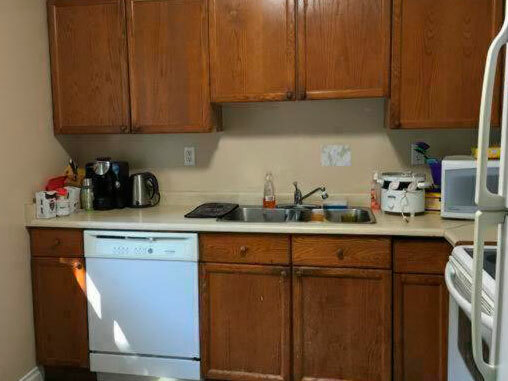 The photo doesn’t do it justice, but that rangehood is incredibly grimy. 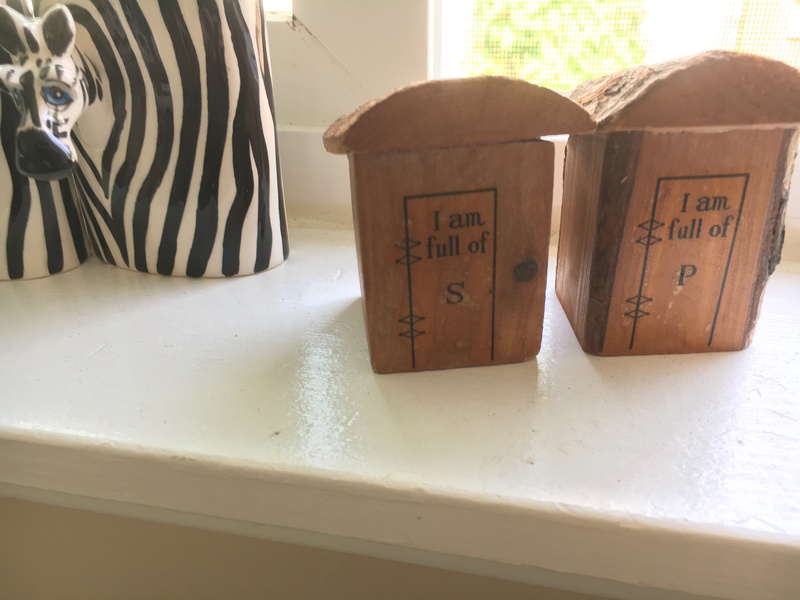 Close-up of the salt and pepper shaker collection on the window, entirely fueled by my sister. It’s still a bit rough, but lightyears ahead of when I first viewed it, or was trying to get it usable. The front closet. It’s kind of weird, but this house basically has a walk-in closet in the entryway. When I moved in, it had a broken bifold door, sagging shelves, and a mould problem. I dealt with the latter, but am now dealing with the rest; shelves are down, holes are being filled, and I’ve started figuring out what to do with the space. 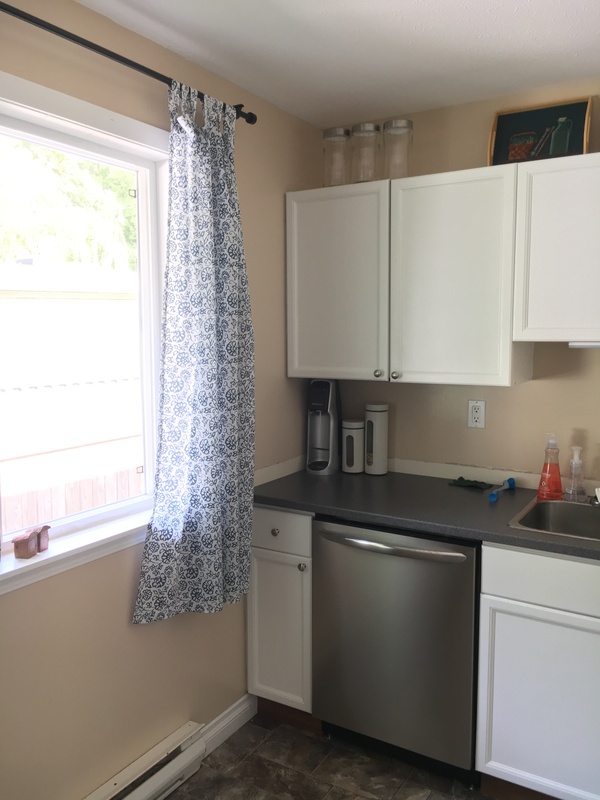 It basically needs to act as a closet, mudroom, and space to store garage-and-garden type stuff. 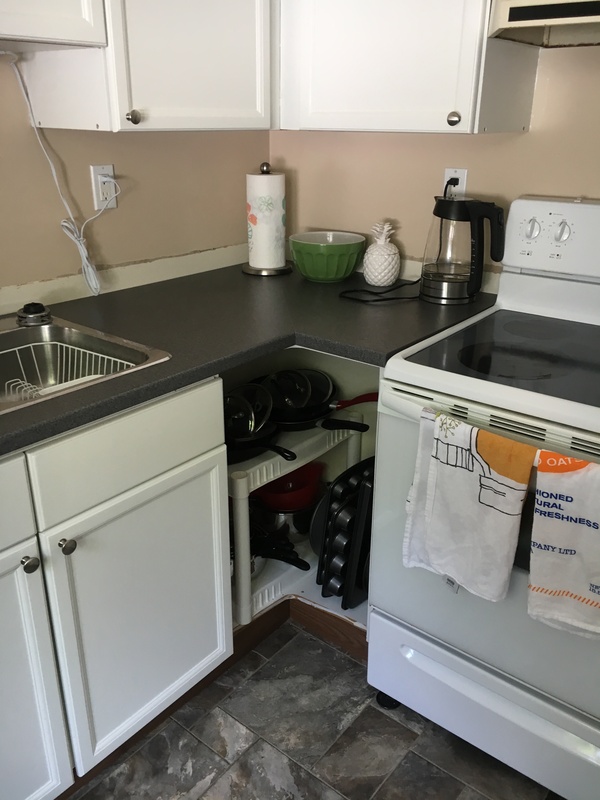 Kind of hard to capture the space, given the smaller entry, but it’s about 6ft wide and 4ft deep. 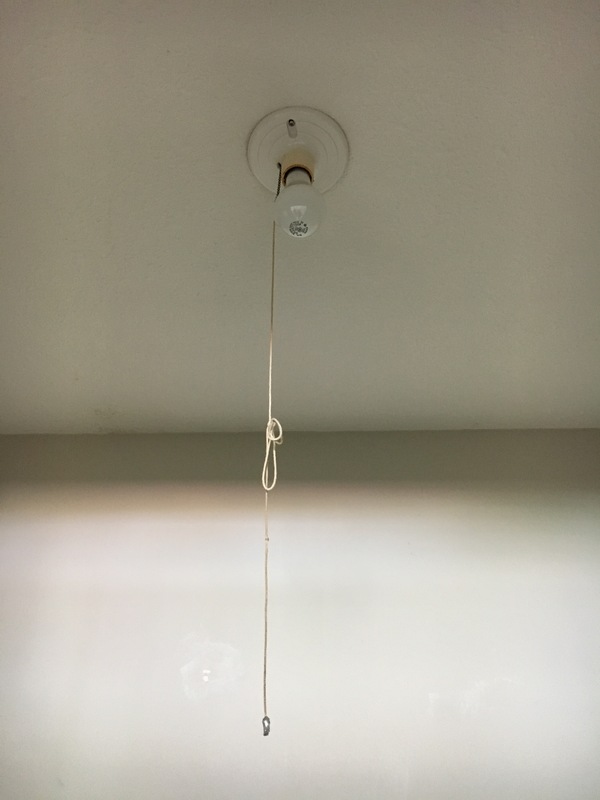 Inexplicitly, one of many 40 watt lights that came with the house. Last one to replace. The bedroom. Kind of. 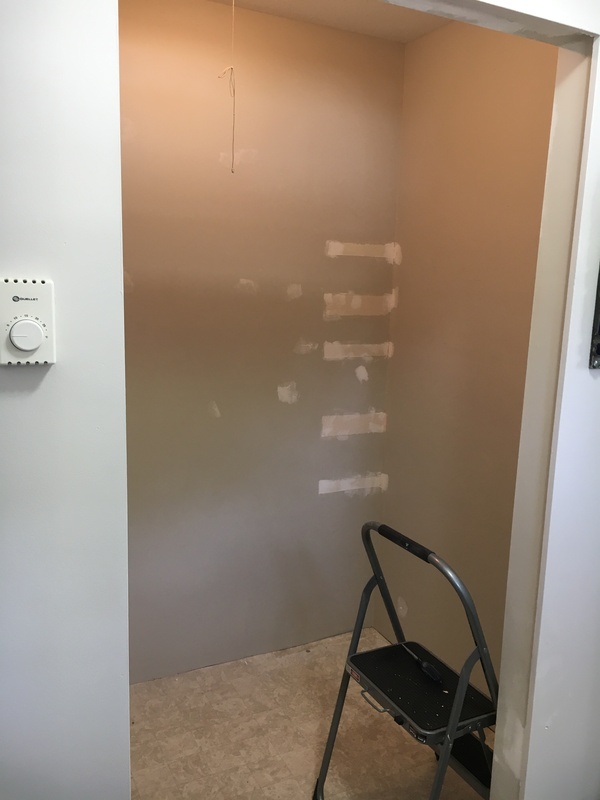 This room has already been painted, and a closet system added. It’s just full of boxes acting in place of better storage. So, yeah. Gotta do something about that. And for next year: the yard. 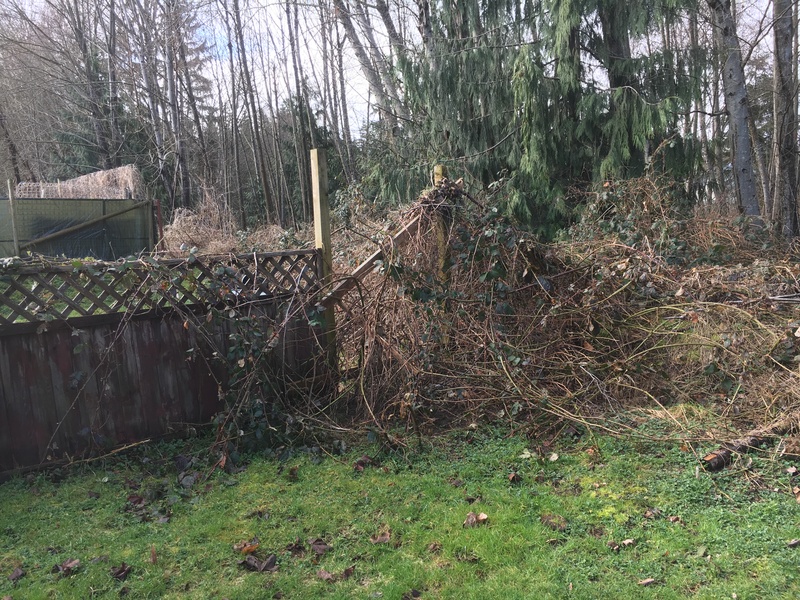 The backyard’s mostly in maintenance mode (read: trying to keep invasive species at bay). After getting six tall cedars removed from around the front window, I haven’t done anything with the front. All I’m really doing now is trying to keep the weeds down. I’d like to get a garden set up in the front, and re-grass several areas of the lawn that are bare, but it’s a bit to dry to start that now. 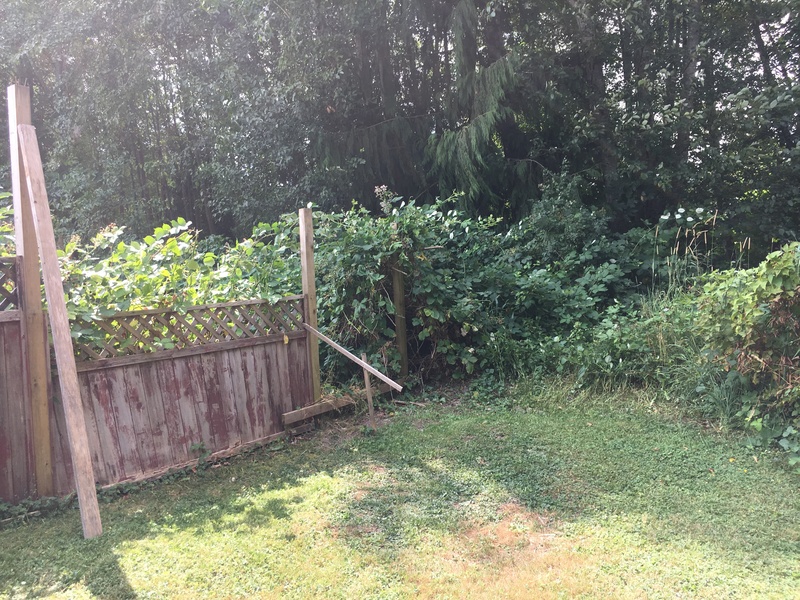 Unfortunately, blackberries grow like mad, so just keeping it back from the property line is a lot of work. It’s rewarding to see when compared to the photos from earlier thing year, though. I’m looking forward to when the photos in this post will make me feel good about what I’ve since accomplished, in a few months time. Everything is looking great! 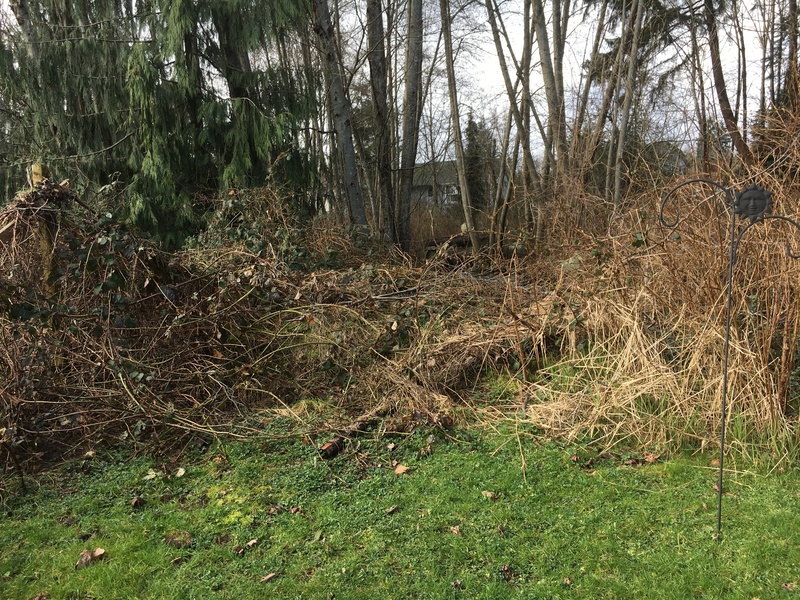 As someone who’s spent a ton of time in the yard digging, trimming and raking, you’ve made a ton of progress. That type of work always feels like you did less than you really did. Thanks DK! 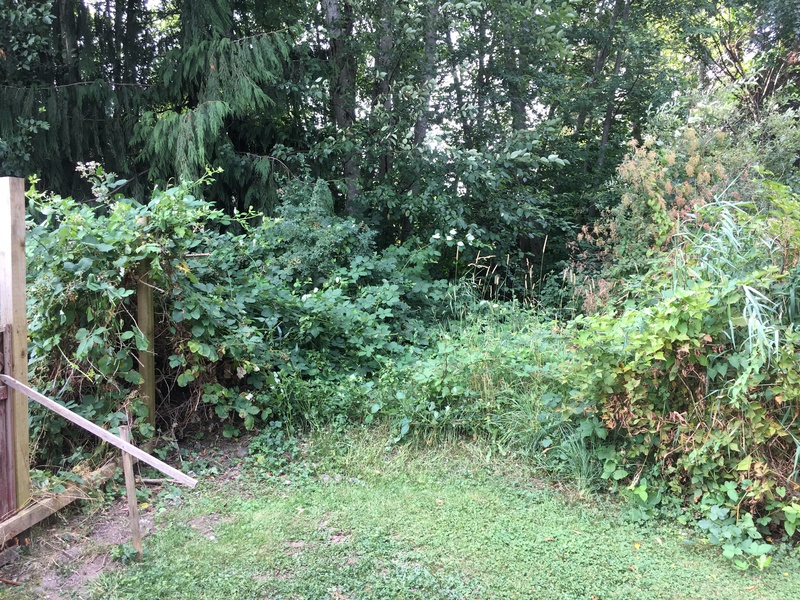 I had so many high hopes for that yard this year… 🙂 Honestly, before-photos have been a sanity-saver, it’s so easy to forget how much work you’ve already done. They make the messes and rough spots much easier to bear!